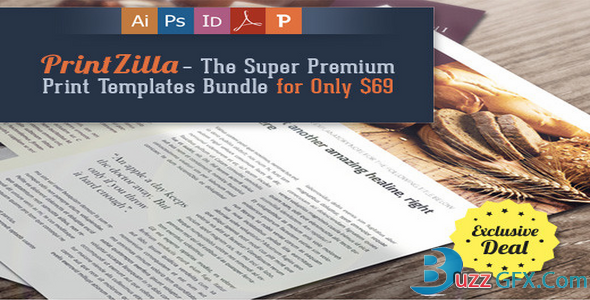 Whenever you need to create magazines, brochures, flyers, wedding invitations or any other printed design for your clients or even for your own company, or just some mock-ups to give your clients a preview of the final product, you have this incredible bundle at your fingertips. Wanting to help you save precious hours of work and avoid all that stress related to creating print resources and mock-ups from scratch, we came up with another Super Premium Deal suitable for almost any situation! With every template you will get an extremely descriptive user manual, which allows even non-experienced users to easily customize them. As a bonus, you will receive a huge set of 600 vector illustrations such as: vintage backgrounds, music illustrations, floral, winter and more!